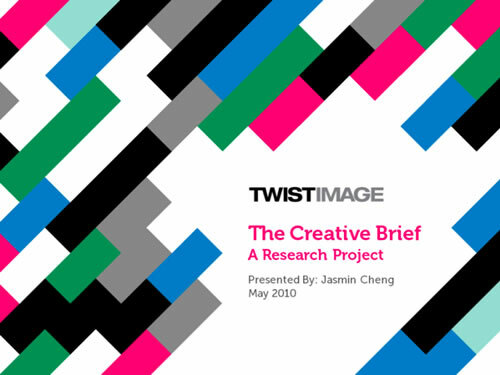 Jasmin Cheng of Twist Image put together this simple, yet elegantly designed deck including some custom illustrations as a research project into the effectiveness of the Creative Brief. EDIT: Thanks to the talented Mr. Ruiz, PDF is available without too much loss in quality. Thanks for sharing this presentation! I worked with Isaiah Goodfriend, an art director in Montreal on the design and layout. It was a product of much love! The creative brief is key to the creative process! This was certainly a great presentation and reference to share.